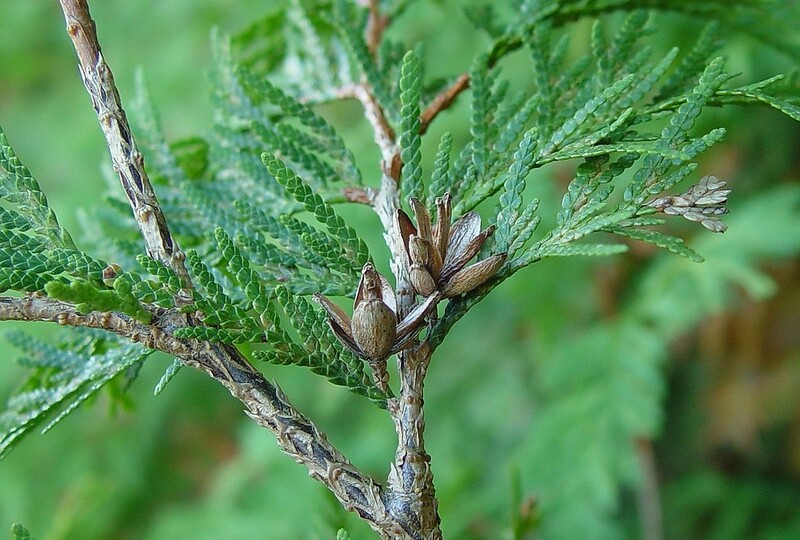 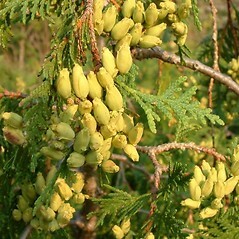 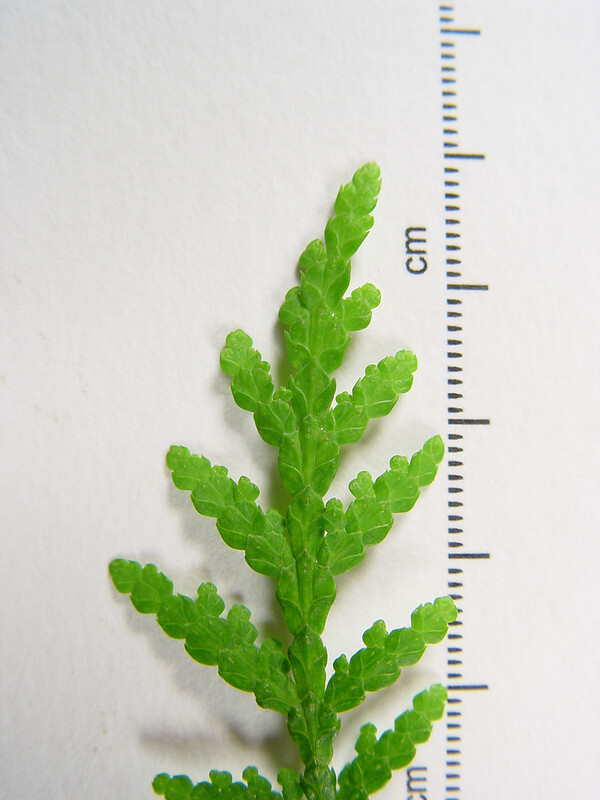 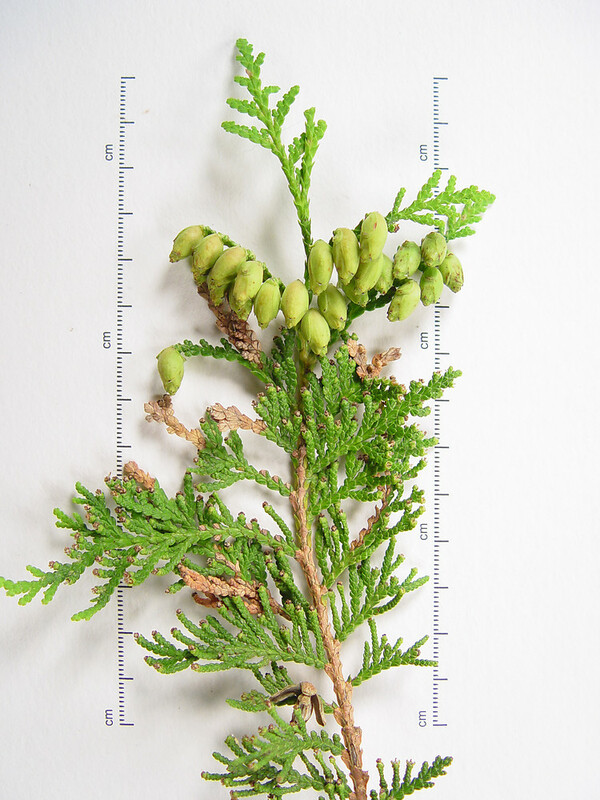 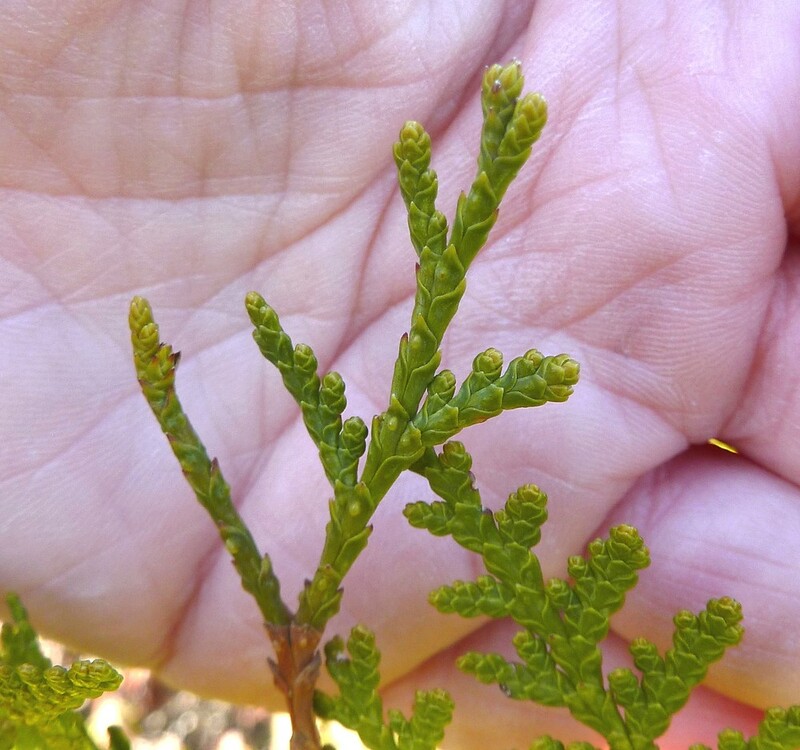 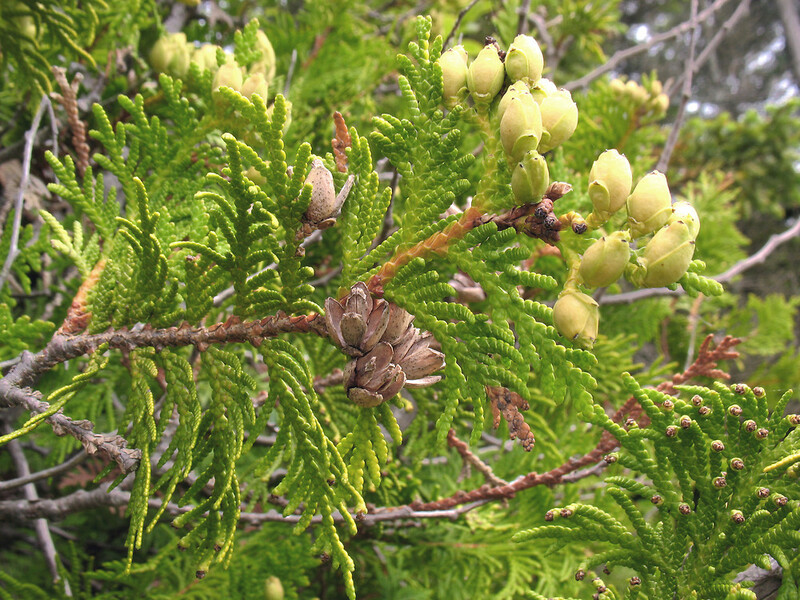 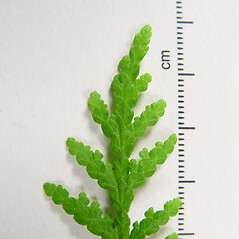 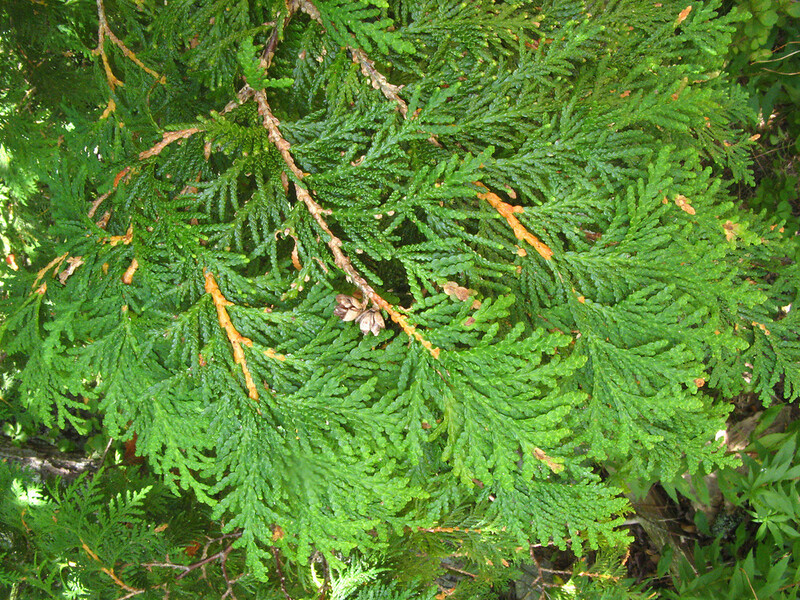 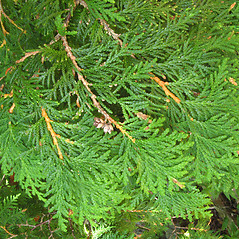 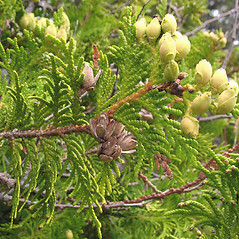 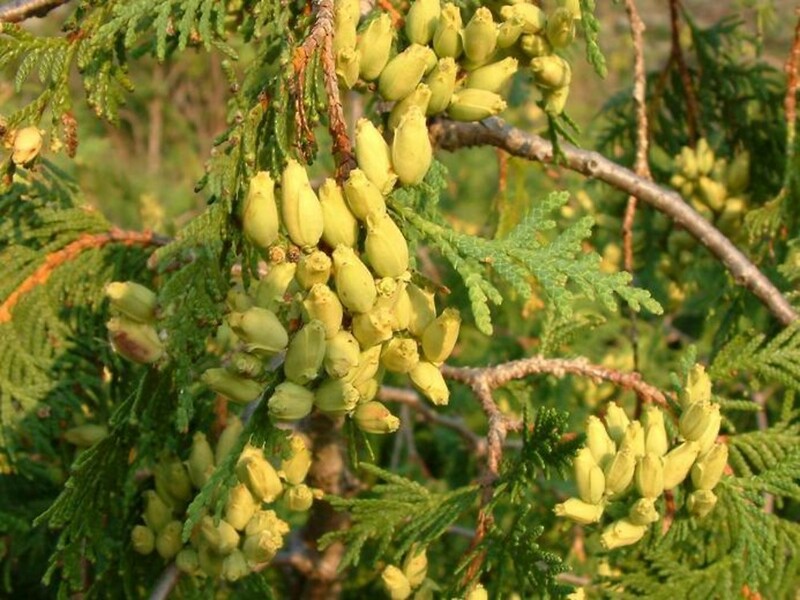 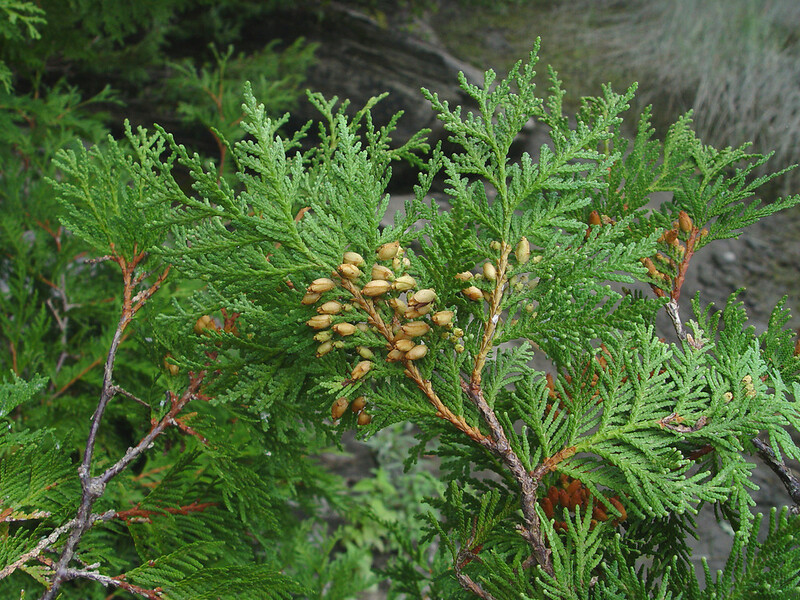 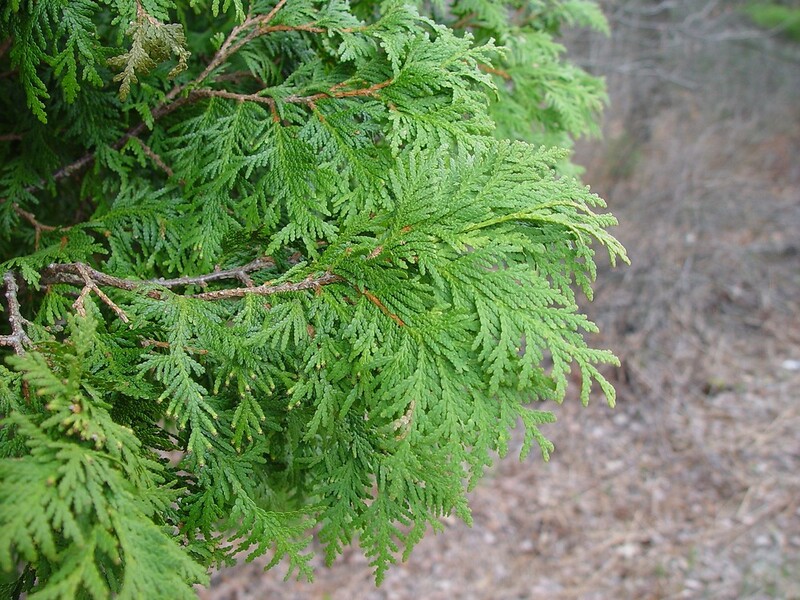 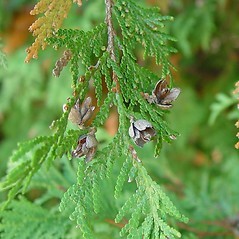 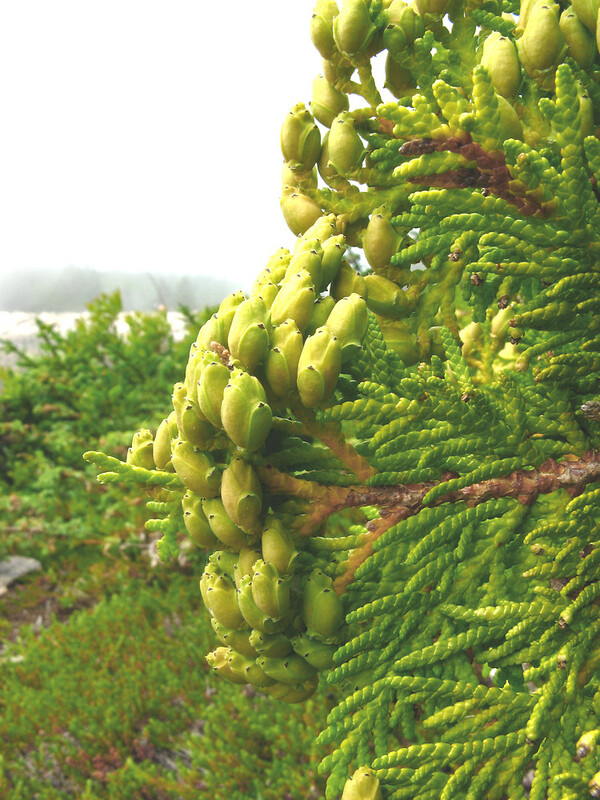 Northern white-cedar is widespread in moist and wet forests of the north, but becoming increasingly rare and local in Connecticut and Massachusetts (where it is considered vulnerable to extinction). 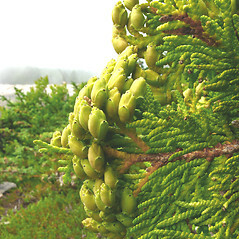 It is one of New England's longest-lived trees, lasting 200-300 years, hence its common name arbor-vitae (tree of life). 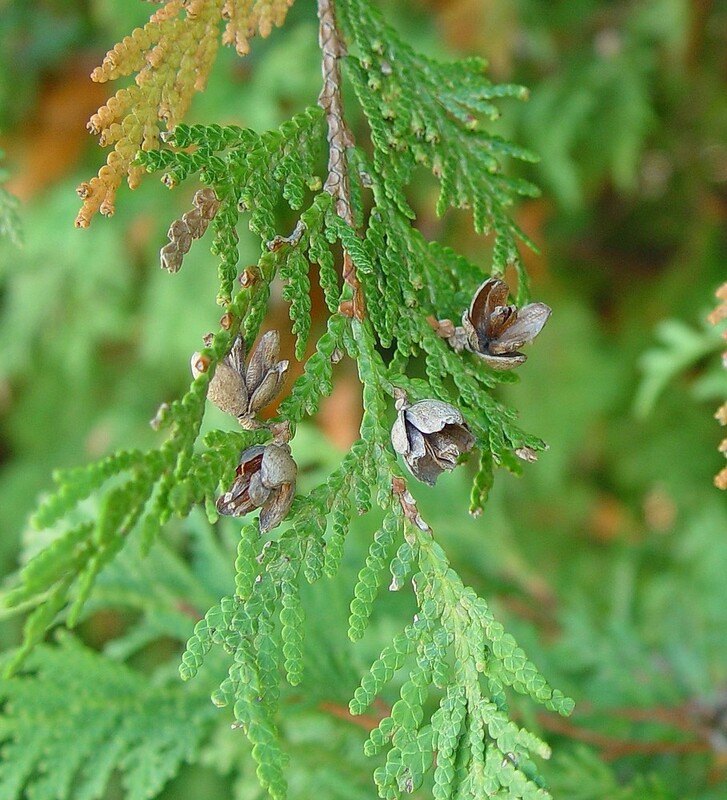 Because the wood is resinous and resists decay, northern white cedar is a popular choice for constructing log cabins and manufacturing shingles. 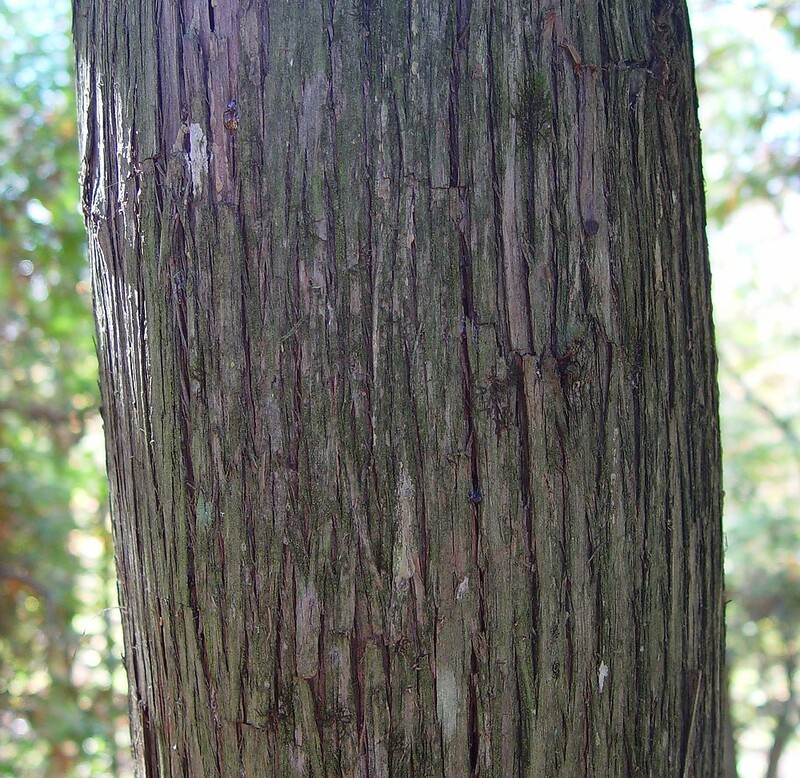 The wood is very light and insulates well. 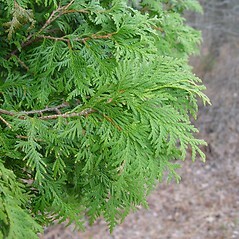 Its fragrant foliage and pyramidal growth form (in open habitats) make it much sought-after for gardens, and many cultivars exist. 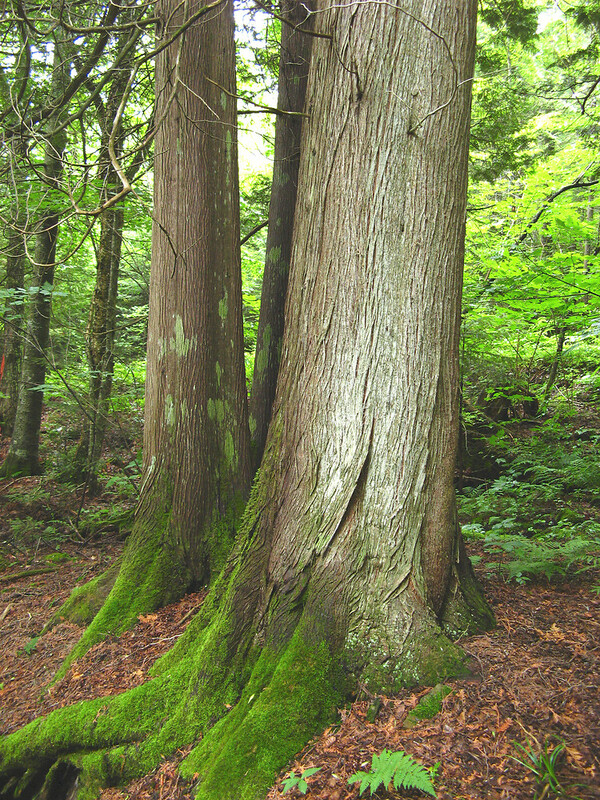 The aromatic sap is rich in vitamin C. Scientists study the rings of these exceptionally long-lived trees to understand year-to-year changes in past climates. 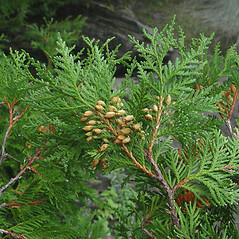 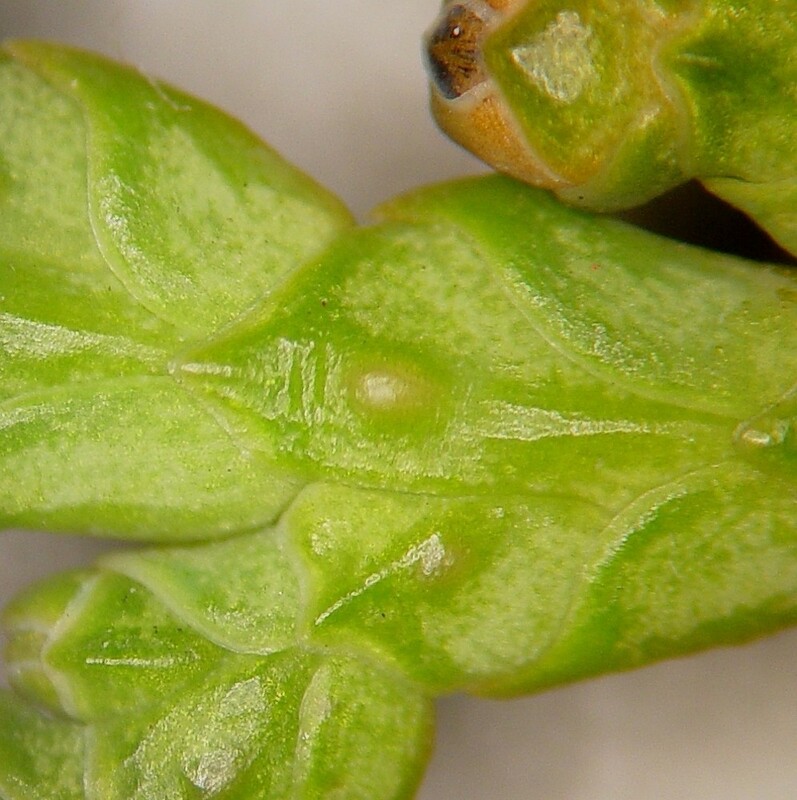 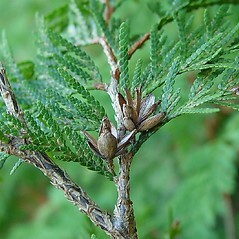 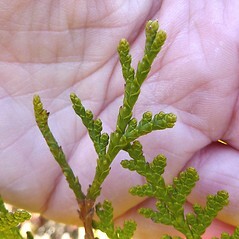 branchlets terete or tetragonous, alternating pairs of leaves similar, and seed cones nearly spherical, with peltate scales (vs. T. occidentalis, with branchlets flat, alternating pairs of leaves dimorphic—those of the upper and lower rank flat, those of the lateral ranks folded, and seed cones ellipsoidal, with basifixed scales). 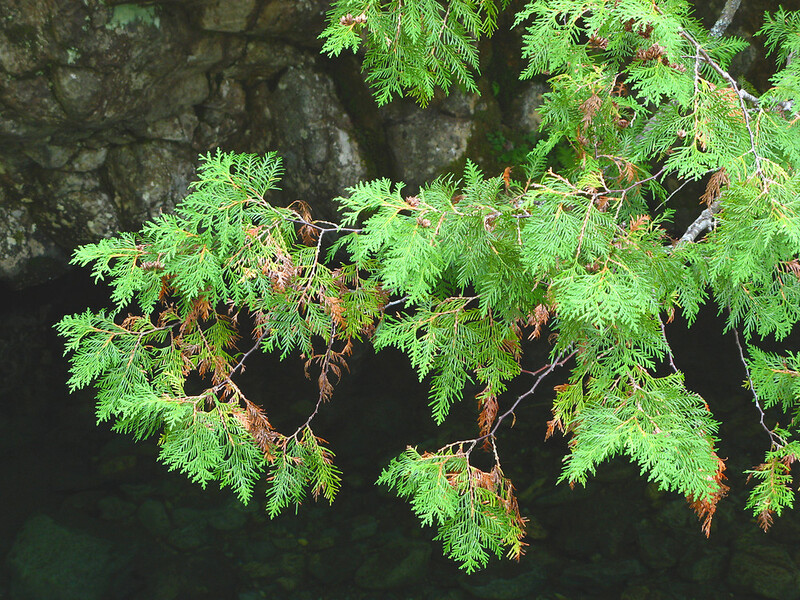 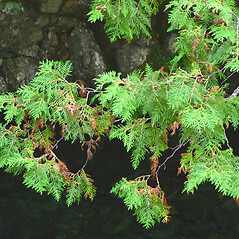 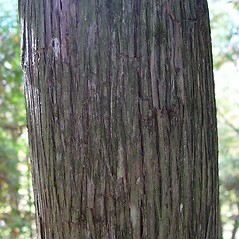 northern white-cedar. 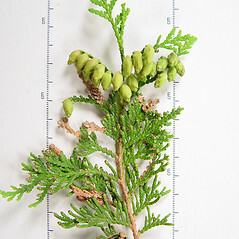 CT, MA, ME, NH, RI, VT; throughout most of northern New England, but becoming rare and local to the south. 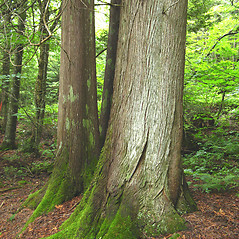 Shorelines, fens, swamps, and cliffs, also an occasional component of upland forests to the north.